The purpose of this bulletin is to inform workers’ compensation system participants of the annual change to the Medical Fee Guideline conversion factors as established in 28 TAC §134.203. Under Labor Code §413.011(a), fee guidelines adopted by the Division of Workers’ Compensation (DWC) for non-network services and approved out-of-network services are based on the most current reimbursement methodologies, models, and values or weights used by the federal Centers for Medicare and Medicaid Services. To provide predictability and reflect changes in medical service delivery costs to system participants, DWC established a conversion factor and an annual update as part of 28 TAC §134.203(c). The annual update is based on the Medicare Economic Index (MEI), which is a weighted average of price changes for goods and services used to deliver physician services. The MEI for 2017 reflects an increase of 1.2 percent. For services provided in calendar year 2017, the new Medical Fee Guideline conversion factors are $57.50 and $72.18. The conversion factor of $57.50 applies to service categories of evaluation and management, general medicine, physical medicine and rehabilitation, radiology, pathology, anesthesia, and surgery when performed in an office setting. The conversion factor of $72.18 applies to surgery when performed in a facility setting. If there are any questions about the information in this bulletin, call the toll-free Comp Connection for Health Care Providers at 1-800-372-7713. 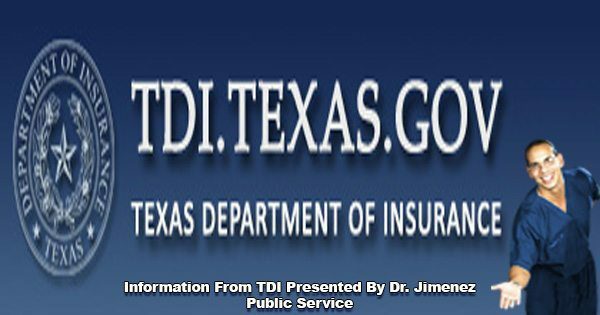 The Texas Department of Insurance (TDI) issues this mandatory health care claims reimbursement rate report data call in compliance with Texas Insurance Code Chapter 38, Subchapter H. This section of the statute requires TDI to collect data concerning health benefit plan reimbursement rates in a uniform format and to disseminate the combined rates derived from this data by geographical regions in the state. The rules that implement this statute are in 28 Texas Administrative Code Chapter 21, Subchapter KK. Responding issuers should review the rules and reporting form carefully to ensure that information is reported correctly. This data call applies to issuers of preferred provider benefit plans, health maintenance organization plans, and specified governmental employee plans under Insurance Code Chapters 1551, 1575, 1579, and 1601. Issuers must submit this data by May 1, 2017. The 2016 report covers data for claim payments from January 1, 2016, to December 31, 2016. As prescribed by 28 TAC §21.4502(e), a health benefit plan issuer with fewer than 20,000 covered lives in comprehensive health coverage as reported on Part 1 of the National Association of Insurance Commissioners Supplemental Health Care Exhibit as of the end of 2016 is not required to submit a report. If you are unable to download the form, or have any questions concerning this data call, please contact TDI at [email protected].